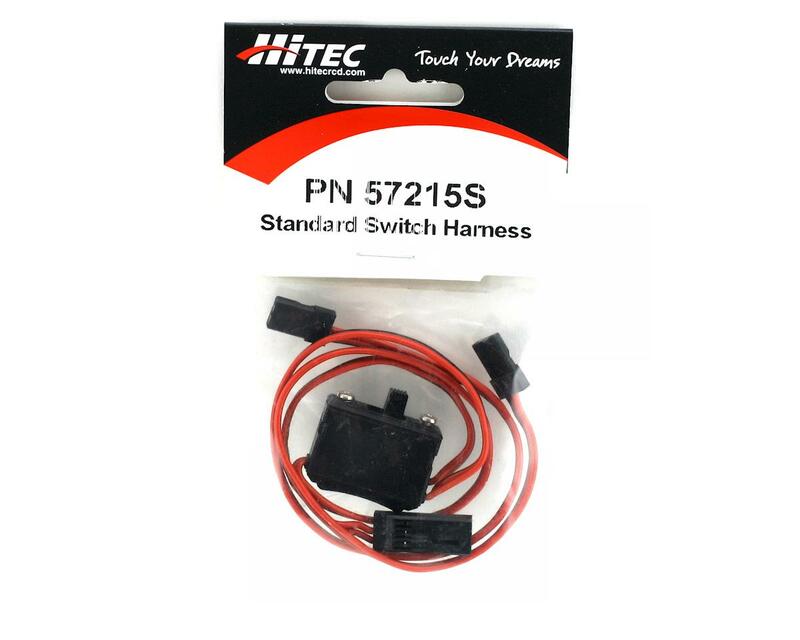 This is a standard receiver switch harness from Hitec, with integrated charging connector. This version has JR style connectors on it, so it will work with any brand of battery pack and with any brand of receiver. 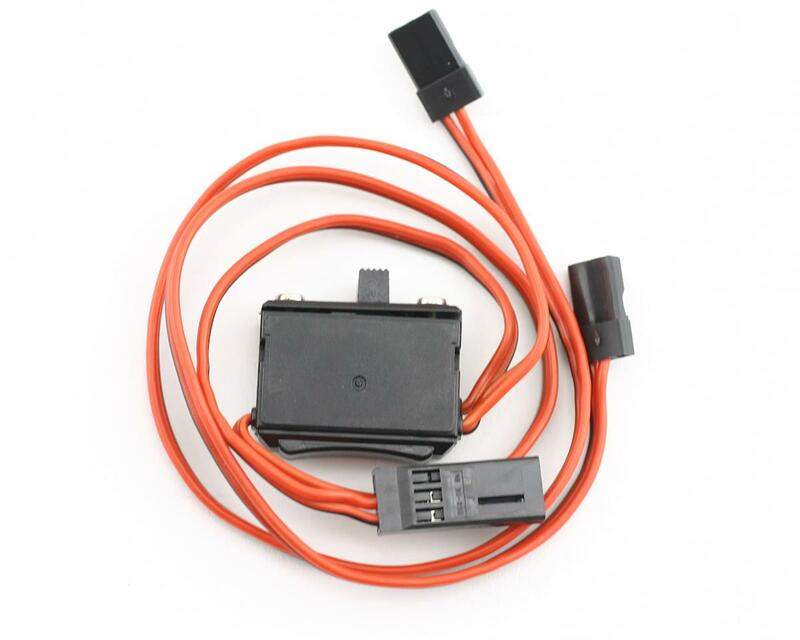 This switch harness has an integrated charging lead, so you can charge your receiver pack without having to remove it from your car. Switch still works fine but after a couple of races the charge jack has stopped working. Can't figure out why cause the charge wire comes stright from the switch (on/off) side. No pinched wires / its not spliced. It did work but now when I plug it into the charger it doesn't charge. I take my battery out and plug into charger directly it charges so the charge jack JUST WENT BAd ! This is a great switch. I tried to run a Expert one and the dumb thing would not work. I tried the Hitec one and it worked and is still working great. I also love how the battery lead acts as a clip and holds the batery in. This is a great buy.